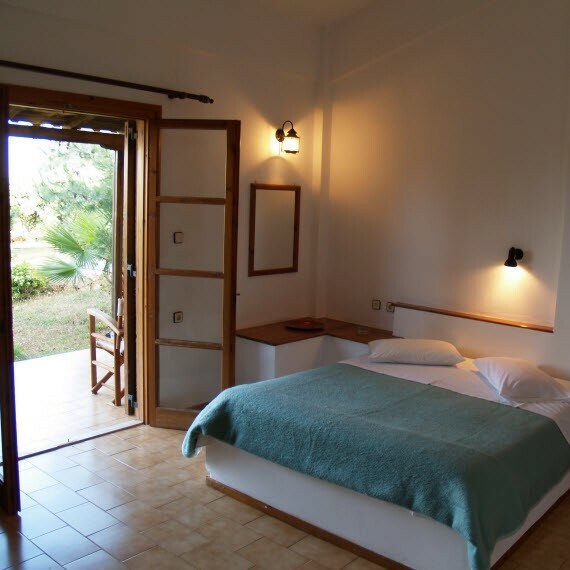 ﻿Overlooking the beautiful town of Monemvasia, in a green-clad area of 10.000m2 with olive and palm-trees, bougainvilleas and season-flowers, 400 m. from the sea and the town center, Monemvasia Village, with 12 independent single- and double-spaced residencies, introduces a new philosophy in hospitality. The majestic view of the endless blue of the Mirtoon Sea and the Castle of Monemvasia will take you on a journey away from the intense tempo of modern life. The tranquility of nature, the privacy of independent dwelling, our small theatre, the ever-budding gardens, the stone-paved paths, the pond with its waterfall, all provide the ideal setting for restful vacations and create a harmonic environment that will help soothe your spirit and your senses. Each bungalow is equipped with kitchenette, refrigerator, television, air-conditioning, private verandas, garden and spacious parking area. 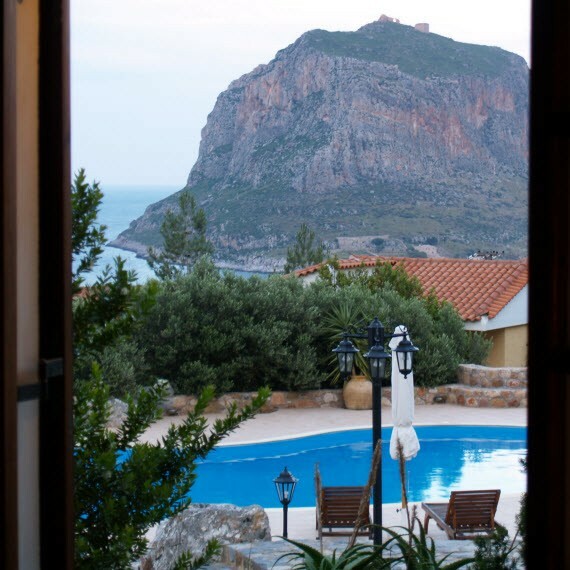 Monemvasia Village also provides a shared swimming pool.